Publishers of the country’s remaining LGBT weekly newspapers have all issued comments this week highly critical of the management decisions made by those leading Window Media, which filed for bankruptcy over the weekend and shuttered its papers in D.C., Atlanta and south Florida on Monday. 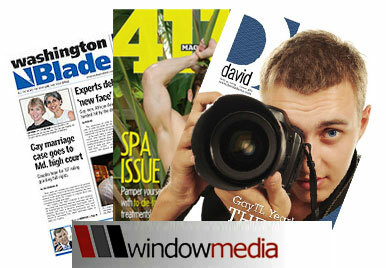 The chorus of complaints about how Window Media owners Chris Crain and David Unger ran their company is striking in how similar sounding the publishers of the Bay Area Reporter (where I work in San Francisco) Bay Windows in Boston and the Philidelphia Gay News are in their critiques. And the take home message, which seems to be directed more to national advertisers than to readers, is that LGBT Media as a whole is not dead, even if the specialty press industry lost two of its marquee brands this week with the shutdowns of the Washington Blade and Southern Voice along with the South Florida Blade. The other four LGBT media executives also sounded upbeat about the health and future for their publications and the industry as a whole. Segal said while other media outlets have been cutting staff this year, he has not had to lay off anyone. And he said advertising is on the rise in the 4th quarter and should continue to gain strength in 2010.